Imagine your life without light after the sun goes down, without power to charge your cell phone for communication, relying on dirty fuel to cook food in your home. Lack of electricity impacts people’s health, safety, education and livelihoods. To address this challenge, Linkin Park and Music for Relief pledged to support Energy for All through Power the World in partnership with the United Nations & the United Nations Foundation. Power the World brings sustainable, clean energy solutions to families, helping to reduce the number of people – currently 1 billion – without electricity. Powered by the sun and safe for families and the environment, solar lights provide the light for education and productive livelihoods. Because of these risks, Power The World is working to provide families with safer and more environmentally friendly cooking solutions. In Africa, pregnancy and childbirth complications result in hundreds of maternal deaths every day. Health clinics often don’t have reliable electricity for lighting and medical equipment. 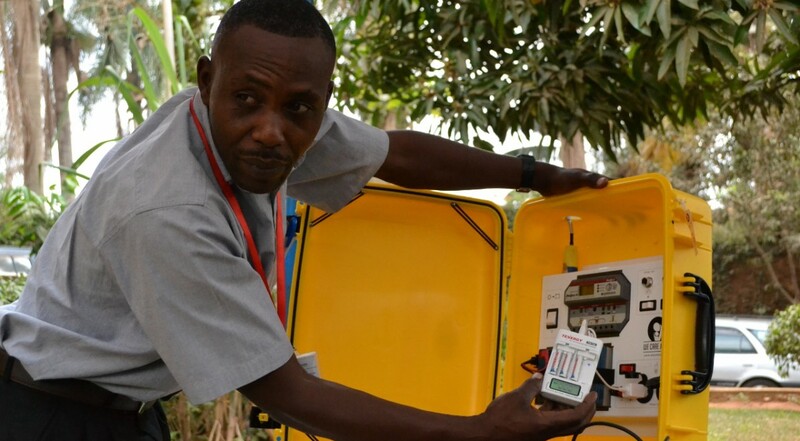 Power the World has partnered with WE CARE Solar to help to change this fact and reduce maternal mortality rates by providing solar light and power for rural health clinics via the WE CARE Solar Suitcase. The WE CARE Solar Suitcase is an innovative solar electricity system designed to fit in a carry-on sized suitcase for easy transport and installation. The Solar Suitcase provides healthcare professionals with a renewable power source to operate medical lighting, cell phones, and small medical devices. This extremely efficient solar energy kit enables medical staff to help women deliver their babies safely at night. Currently, there is a 1-in-35 risk of a woman dying as a result of pregnancy complications in Uganda – where a majority of this program has been implemented. With the Solar Suitcase, health providers can see at night for routine deliveries and surgical procedures, and can promptly diagnose and treat birth complications. Music for Relief donors have provided X suitcases that have helped benefit X mothers and X newborns. Of the 34 million people living in the Western Hemisphere who have no access to electricity, almost 8 million are located in Haiti. Music for Relief and EarthSpark International’s Enèji Pwòp (Haitian Creole for “clean energy”) have joined forces to provide clean energy options for Haitian individuals and their families. Power the World has actively worked on three different projects in order to provide electricity to more people. The first of these projects is the distribution of individual solar lights. Power The World has provided solar lights to 50,750 people. The second project was working to conversion a diesel grid to a solar- wind hybrid system equipped with battery storage. 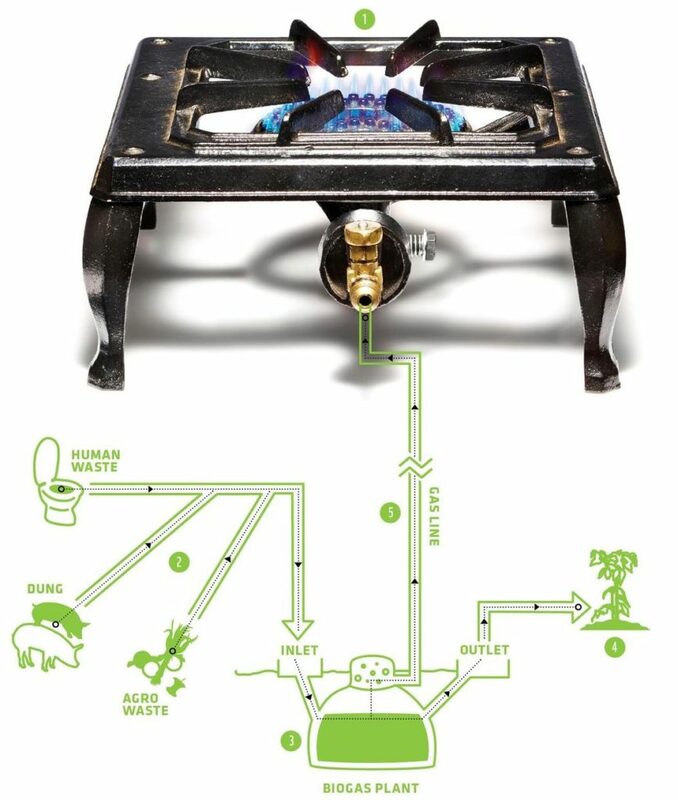 This project brought electricity to 420 homes, over 2,000 people. Finally, Power the World worked to launch a ‘roving vendors’ experimental program that recruited 20 additional clean vendors to sell solar lights. This program led to 900 additional lights being sold, benefitting 4,500 people. 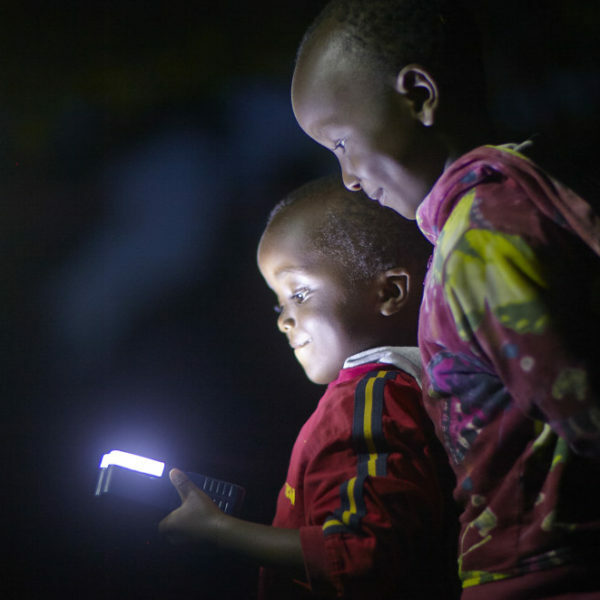 Something as simple as a solar powered light can open up opportunities for families in Haiti. Without electricity, children have to study by candlelight or kerosene lanterns at night and face the risk of fires and illness from smoke and soot inhalation. Parents are unable to run business after dark. Powered by the sun and safe for families and the environment, solar lights provide the light for education and productive livelihoods. In Brazil, Power the World is providing clean, sustainable energy for families without access to electricity in the form of a SOCCKET. Created by Uncharted Play, SOCCKET is a soccer ball that also functions as a portable generator improving the lives of children and their families. The SOCCKET’s internal mechanism takes the kinetic energy from rolling and converts and stores it as electrical energy. After the game is finished, the included single-bulb LED lamp can be plugged into the ball to provide hours of light from just minutes of play. Music for Relief is providing 700 SOCCKETs and 300 PULSEs (a jump rope that is also a portable generator) to WorldFund International, WorldFund International will distribute these SOCCKETs and PULSEs in conjunction with STEM Brasil activities for Brazilian students in public schools. STEM (Science, Technology, Engineering and Math) Brasil currently trains over a thousand teachers from more than 300 schools in 16 different states. This distribution will benefit 40 public schools with the donation of 10 per school.